Mt. Airy CDC has a range of positions in various fields. Currently, we do not have any positions available. Please check back. 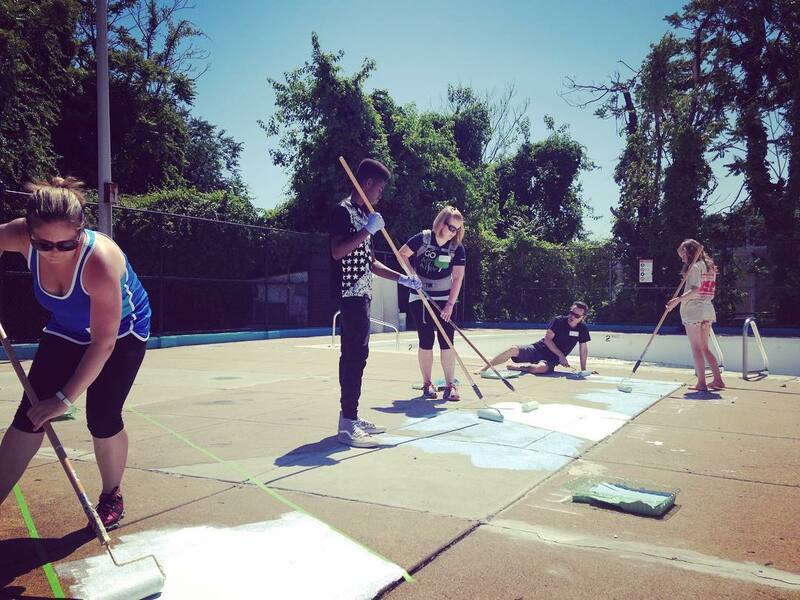 Our interns coordinated a volunteer workday at Pleasant Playground in 2016 to help prepare it for the summer recreation season. Mt. Airy CDC welcomes applications from individuals interested in gaining exposure to a wide range of community development areas. To apply, please submit a resume, a writing sample, internship goals, and dates available with desired internship placement to jobs@mtairyusa.org with “Internship” in the subject line. Our internships are available year-round and we will accommodate your work or class schedule. These are volunteer positions, and at times you may qualify for work study. Mt. Airy CDC welcomes volunteers to help with special events such as the annual MLK Day of Service, Moonlight Movies, Supper Sessions on the Avenue, and Go Mt. Airy Gala annual fundraiser. If you are interested in volunteering with Mt. Airy CDC please contact Hanae Mason at hmason@mtairyusa.org to discuss upcoming opportunities.